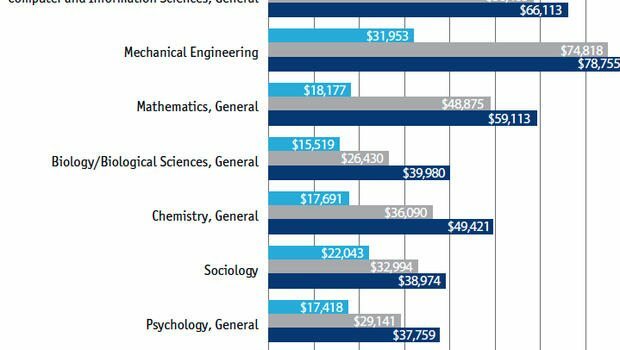 Is a STEM degree a good investment? A proud moment for the parents of any college student might be when he or she declares a major in a STEM (Science, Technology, Engineering, Math) field. Maybe more relief than pride, as most of us now know STEM majors will find the job market much easier than their Liberal Arts counterparts. It’s hard out there for English and History majors, and don’t even ask about Theater or Dance. But major in Biology, Computer Science, or Mathematics, and you’re guaranteed some kind of job, right? It is projected that by 2018, according to the U.S. Bureau of Labor Statistics (BLS), a 34% increase in professional, scientific, and technical services employment will take place. If the demand is there, it should result in higher wages. That’s how supply and demand works on the job market. STEM jobs make a difference in our society no doubt, be it medical advances, energy conservation efforts or practical solutions to mechanical engineering. We’re living in the time of greatest expansion in STEM since the Cold War, when the US and the Soviet Union both actively encouraged students to go into these fields to expand the military-industrial complex. Today, with globalization, there’s a new drive to create advances in technology, medicine, transportation, food production, and infrastructure. The major research universities have known this for years, but even smaller liberal arts colleges are beginning to realize that if they want students who will graduate to jobs, pay back their student loans, and give donations as successful alumni, they need to build up their STEM programs. 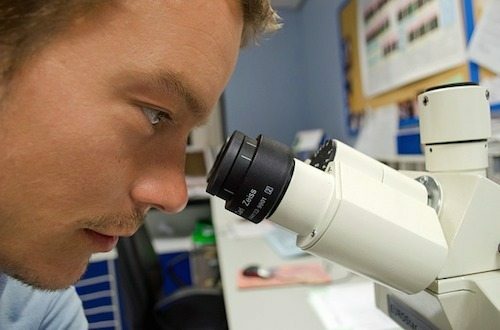 STEM is a hot topic amongst education experts, policy makers, and business leaders. We are seeing more recently, though, that the advantage to employment is more about the TEM, as Science has been facing a labor crunch, especially for recent graduates. A study by College Measures, a non-profit firm that helps governments gather and disperse salary data on new college graduates, showed that not all students who major in the sciences are cashing out. There are reasons for this, among them being the fact that science majors usually find themselves going into education (which is saturated with job-seekers) or low-level lab positions without a graduate degree. Technology is paying more because there’s a shortage of qualified programmers, designers, and managers, and the field is expanding so rapidly; Engineering and Mathematics, because of their level of difficulty, have similar shortages. The safe bet? Stick with TEM; think twice about the sciences. Give the same amount of consideration to Science you would give to English. What, really?! Yes; according to College Measures, graduates with degrees in the sciences earned no higher than those with an English Literature major. The College Measures data below was conducted in Texas, Colorado and Virginia and used first-year salary information provided by the participating state employment databases. Obviously, consider your interests first; if you don’t like the STEM majors, you won’t be happy, and students who are not happy are more likely to switch majors, losing time and money, or to drop out altogether. Think about your strengths as well; most prospective employers won’t look at your GPA, but if you plan on going for a graduate degree, graduate schools will. If STEM isn’t your strong point, you’re not going to go any farther with barely-passing grades on your transcript. Choose a major that suits you. If it’s in STEM, congratulations, you’re a little closer to a stable career. But if it’s not, don’t try to force a round peg into a square hole. There’s a place for you somewhere.